Corporate magician, comedy magician, stage magician. If you want a professional corporate magician, then we are your specialists. Our corporate magicians are perfect for your next corporate event or corporate function. Our magicians are corporate entertainment masters. Whether you want a comedy magician, an illusionist, a stage magician, an escapologist, a close-up magician, a stage mentalist or a kids entertainer. We have all forms of specialist magicians. You can book magicians for the following: trade shows, cocktail parties, product lauches, weddings, bachelorette parties. At your next corporate event, get your product to appear/disappear or even transform or float. Appear your CEO, or make him vanish. A magician is perfect for golf days, bar mitzvahs, corporate events, conventions, trade shows, product launches, weddings, poker events, festivals, theatres, pubs, night clubs, birthday parties, cocktail parties e.t.c. In our rainbow nation, magic is the ultimate form of entertainment. It communicates across all cultures, ages and languages. Experience wonder, fascination and awe. Imagine being captivated by magic that defies your reality. Suspend for a moment what you believe is real. Open yourself up to the mysteries. Let go, and allow our magician to take you on a journey, transforming your reality into an amazing illusion. Start dreaming the impossible dreams. Escape from reality for a moment. Join our magician in a world of fantasy and wonder. Your gasps of amazement will be worth a thousand standing ovations. Standing ovations entertainment has a passion for magic. We dedicate ourselves in finding the best magicians nationwide. We attend several magic conventions and seminars both locally and internationally [Like the World magic seminar in Las Vegas, and the Blackpool Magic Convention]. We also bring international magicians to South Africa, and were part of the team that ran the South African Magic convention 2009. We quality control every magician by watching several magic shows every year. We have the largest database of professional corporate magicians in Africa. We are specialists in booking top class corporate magicians. 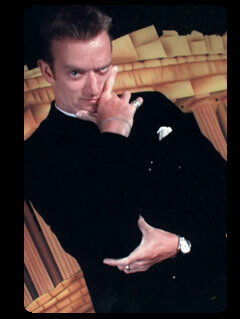 Close up, comedy, celebrity, escapologists, illusionists, stage magicians, mentalists, kids. Many of our corporate magicians are of world class standard and have performed internationally. They have performed for royalty, world leaders (Margaret Thatcher, Nelson Mandela), top businessmen (Richard Branson), and famous stars (Colin Farrel, Julianne Moore), and many of South Africa's top businesses. Our breathtaking stage magicians will leave you spellbound. All of our professional magicians have received countless standing ovations. Some of our magicians are even celebrities. Free State Bloemfontein, Kimberley, Welkom. Gauteng Johannesburg , Pretoria, Alberton, Randburg, Sandton, Midrand, Centurion, Vereeniging, Vanderbijlpark, Sasolburg, Magaliesburg. East Rand Boksburg, Benoni, Kempton Park, Germiston, Brakpan, Springs. West Rand Krugersdorp, Roodepoort, Potchefstroom, Klerksdorp. Natal (KZN) Durban, Pietermaritzburg, Amanzimtoti, Umhlanga, Balito. We have the perfect corporate magician for you.